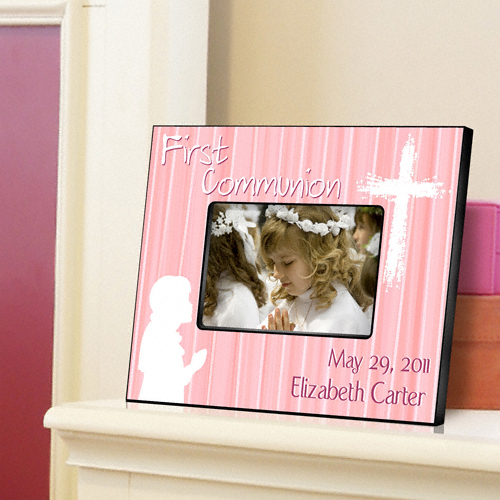 * Available in a wide variety of styles from classic to contemporary, these attractive personalized First Communion Frames are an ideal holder for that perfect photo and a lovely gift for that special boy or girl. 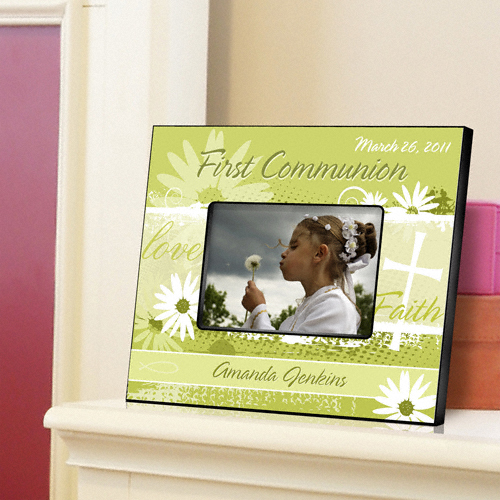 * Colorful and featuring a variety of fonts and designs, these frames include the child's name and date of the event. 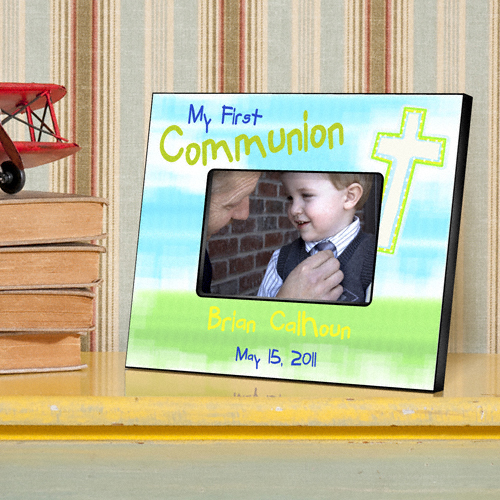 * Hang it on the bedroom wall or place it on the mantel for lasting memories of that special day in a child's spiritual life!